The RadLegendControl could be bound to a chart with multiple series and the LegendItem instances will correspond to the different series. 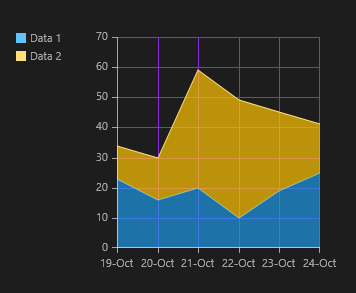 Here's an example of how to implement a RadLegendControl**** for a RadCartesianChart with two AreaSeries. First, create a class for sample data. Then, create a view model class.